Is it right that Most of times you can Heal your Dog Naturally? Sara Rooney Claims in Her Reviews That She Has Healed Dogs All Around The World Naturally Without using Natural Remedies! One thing is certain, every owner will feel very distressed if his dog suffers. 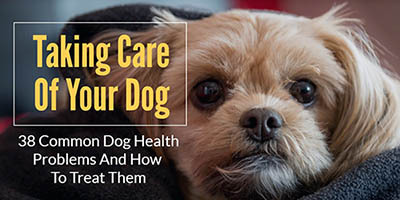 When we notice that our four-legged friend is sick, it could be one of those 5 health problems that are very common in Dogs according to 2019’s Veterinary statistics. Recognizing the symptoms will help you make a good diagnosis and you will be happy to know that you can provide the right treatment your dog needs. The symptoms of the flea are easy to identify. If it scratches, licks or bites excessively, it means that it suffers from flea bites. With prolonged infestation, you may notice fur loss or abrasion of the skin and signs of skin irritation. Inspect closely your dog’s coat. Look for small dark eggs, or small dark feces. The base of the tail, the contour of the ears and neck are the most commonly affected areas. The veterinarian can provide oral treatment if it is a serious infection, otherwise the treatment, if detected early, can be simple. A flea treatment fluid can be prescribed for your pet. The liquid will deter the adult flea and help stop the infestation. It may also be necessary to consider your dog’s living environment. If possible, replace bedding or vacuum in the room where it is installed, carefully removing dust. But a Natural Remedy for your Dog can do the task. Apply flea treatment fluid “spot on” every 4 to 8 weeks or buy a flea collar as a precaution. Fleas lay eggs and once they have reached maturity, the cycle can begin again. It is important to break this cycle and prevent the infestation from happening again, after your dog heals. If this problem does not go away quickly and the symptoms persist with other symptoms, your dog may have a more serious illness. There are many potential causes. Take your dog to the local veterinarian for further tests. The problem could be a viral infection, food poisoning or other serious diseases. Diarrhea is considered a possible symptom of other health problems in animals. This situation can be acute, a short-term feeding problem that can pass quickly. 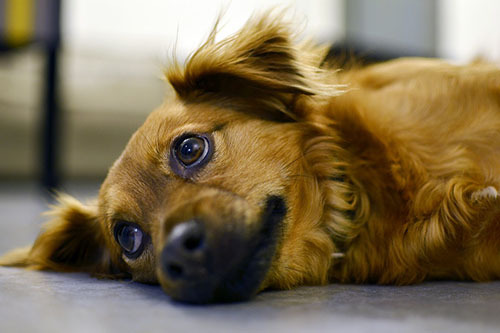 Be wary of other symptoms such as vomiting, or if your pet refuses food, is in a lethargic mood or feels uncomfortable. This could be a sign of a deeper illness or poisoning. If your dog vomits occasionally, this is not a major concern. However, if vomiting occurs more frequently, look for other obvious signs of distress. Vomiting may occur because of a normal diet. Check for blood, diarrhea, or behavioral changes in your dog. These can be signs of a bigger problem. There are different causes of vomiting, such as toxins, infections or diseases. If the problem persists, do not waste time going to the vet. A poisoning due to a fungus or a household product can be fatal in just a few hours. Ear infections in dogs are common, especially in breeds with soft ears. A dog’s ear canals are more vulnerable to infection because they are vertical. Dirty water, foreign bodies or micro-organisms are often the culprits for this infection. If your dog tips or shakes his head, this can be a sign of ear infection. Excessive scraping or rubbing of the ear is another obvious symptom. Take a closer look at signs of discharge, swelling or redness. Check the smell of your dog’s ears. Your friend should go to the vet if you notice a combination of any of these symptoms. The veterinarian can take a tampon and inspect your dog’s inner ear. It can provide fungicides, antibiotics or even an insecticide treatment plan. The treatment provided will depend on the root cause. after your dog heals, try to take needed precautions so that it will not happen again. Sara Rooney claims using only Home Remedies to Heal Dogs from this. The initial causes may be allergies, fleas, bad grooming or something in your dog’s environment. Your dog will repeatedly itch and scratch the area aggravating the problem causing skin irritation, which if left untreated can lead to unpleasant infections. Usually, the initial irritation may be minimal. Maybe a scratch, or an insect bite. This little problem gets worse if your dog scratches the affected area. This can eventually turn into a sore spot, sometimes known as acute wet dermatitis. Treatment of tender points usually involves mowing the matted hair, cleaning and drying the problem area and applying a mild disinfectant. If the infection is severe, soothing ointments such as cortisone should be applied. Your local veterinarian can help reduce irritation and prevent your dog from further damage by continuing to scratch. 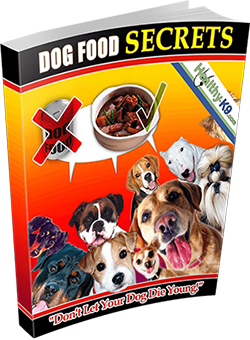 The Natural Health Solution for your Dog will help you not only to resolve the problems above, but many other health issues without using any chemical products or Harmful Drugs. You can usually Heal Your Dog the Natural Way. If in doubt and if symptoms persist, it is safer to consult The “Heal Your Dog Naturally” Guide. Careful observation with special attention to the behavior of your pet can help you determine the most likely causes and help you get an accurate diagnosis with the best treatment for your pet. 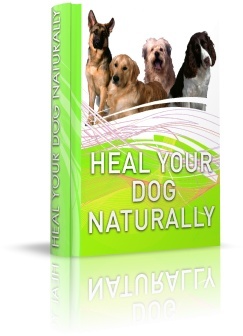 How to Heal Your Dog Naturally? most common health problems in dogs are easy to identify and in most cases easy to treat. They are far from the worst diseases read here. Why Is My Dog Gaining Weight in winter?